The work on the Children's Village is continuing. 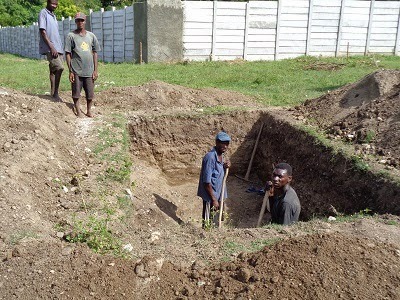 There is a Haitian work crew digging the septic fields for the duplexes with spades. 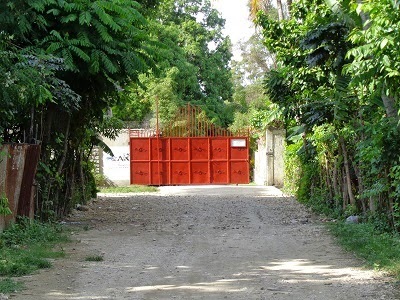 It is the goal to get the village ready for its first 'family' of children and their house parents in the very near future. With the help of the teams that are here, we are getting ready for the Grand Opening of the Technical School and the Medical Clinic in November. One of the many projects of sprucing up around here this week the repainting of the front gate. It sparkles in the sunlight!